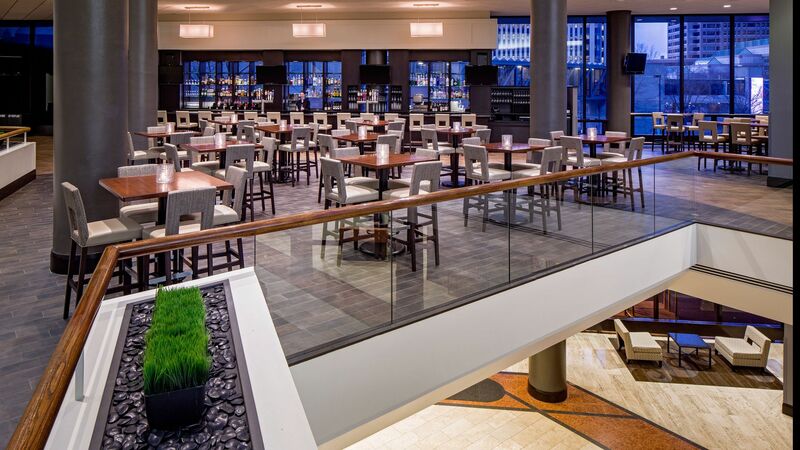 Eat fresh, flavorful local fare at the restaurants and bars at Hyatt Regency Columbus. Elevate the pub experience at our upscale lounge or settle in for a casual meal with views of downtown Columbus to set the stage. Pick up goods to go at our market or dine in privacy with room service. Gather at our 60-foot long bar featuring sleek black granite and an espresso-colored finish. 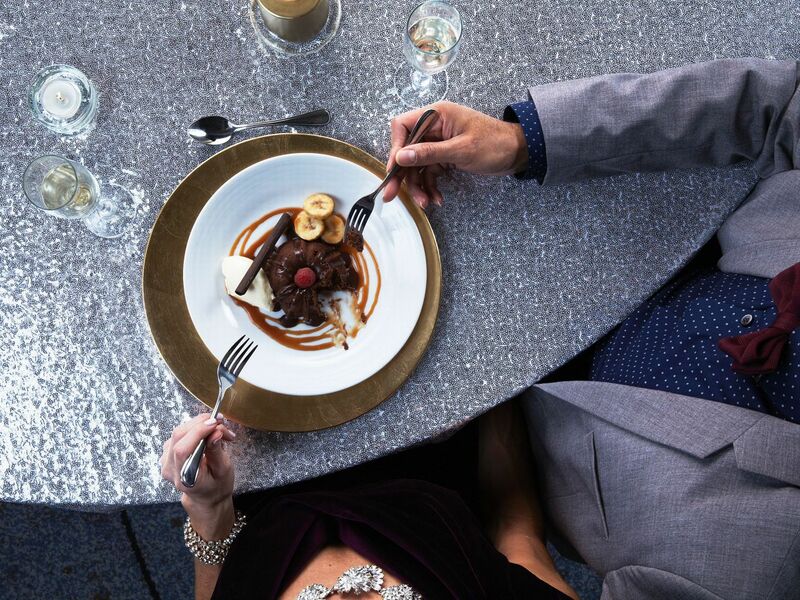 Enjoy signature drinks, appetizers, and panoramic views of downtown Columbus or feast on pub fare and try a selection of local craft beer and wines. Note: Hours are subject to change based on business. 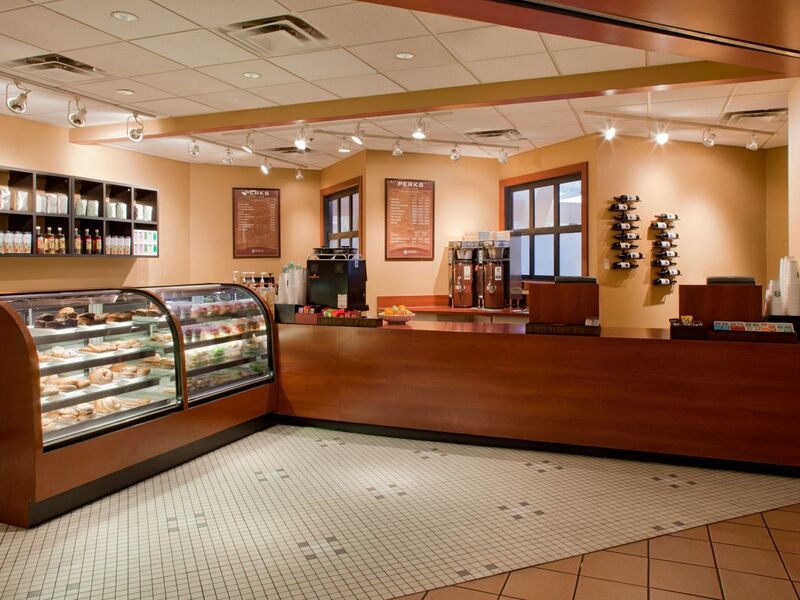 Savor fresh, traditional American fare at this elegant and casual café overlooking downtown Columbus. 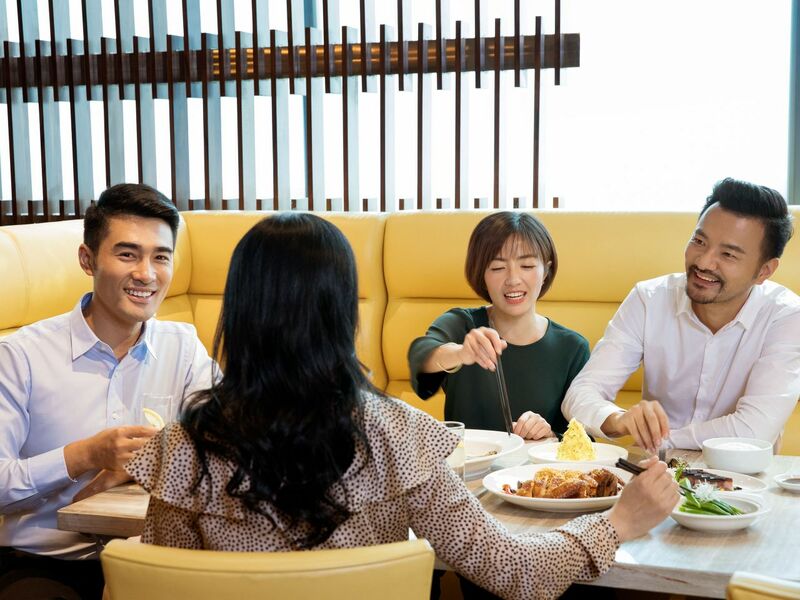 Start the day with a hot breakfast buffet including a made-to-order omelet station and dine on a flavorful lunch menu including pasta, poultry, and meat dishes. Pick up snacks, beverages, or to-go meals at this coffee shop serving up drinks as well as sundries and essentials if you forget anything at home. Call ahead to have your order prepared for pickup when you’re short on time.